While Yamaha will send notification to owners of record, some bikes may have been sold and some owners may have moved, meaning that some owners may have no idea that their bike may have a serious safety issue. With the minimal, if any, mainstream news coverage that is given to motorcycle recalls, motorcycle owners need to be proactive in keeping themselves informed of any recalls that may be issued for their motorcycles. The number one comprehensive source for motorcycle recall advisory information is the National Highway Traffic Safety Administration Vehicle Safety Hotline at 1-888-327-4236 (TTY 1-800-424-9153), or online at www.safercar.gov. In addition, motorcycle manufacturer hotlines and websites will be a source for recall information for that manufacturer’s models. Make sure to register your personal information with your motorcycle’s manufacturer, and send in address change updates, so they’ll have your current contact details in case a recall notice is issued. 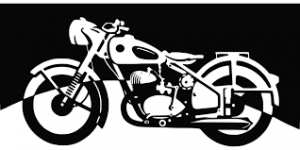 Another way to keep informed about recalls and other safety-related news is to be involved with a motorcycle club for owners of the same kind of bike that you own, and by subscribing to motorcycle owner newsletters and magazines. Remember, you are not only responsible for your own safety, but you are also responsible for the safety of others around you. Failing to keep current on recall information puts you and others at risk. In addition, knowing that your motorcycle has a safety issue and failing to have recall-related or other needed safety repairs made could subject you to major liability if you end up causing harm to someone else. Because this is such an important safety issue, the motorcycle accident attorneys at Heintz & Becker are publishing this reminder to all motorcycle owners to regularly check posted recalls and to get repairs made as quickly as possible after learning of a recall or other safety concern. If you or a member of your family has been injured in a motorcycle accident caused by someone else and need an experienced motorcycle attorney, call us anytime for a free no-obligation appointment to discuss your claim.